Tried posting this a few days and didn't see it go through? If interested I have a Montblanc 149 Fountain pen for sale. Nib is a 14kt fine point. The pen is in very good condition. Links to various photos are below. There are no cracks or splits. Cap does have a scuff mark that I have a close up of which can be seen in third link below. Normal use marks on the barrel. Piston filler works fine and is nice and smooth. 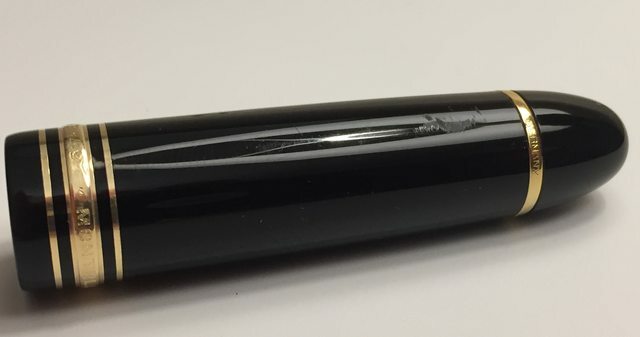 After my last ink fill I flushed and cleaned the pen and removed the piston filler with a specially designed tool to do so and lubricated the piston with silicone grease for piston filler pens. 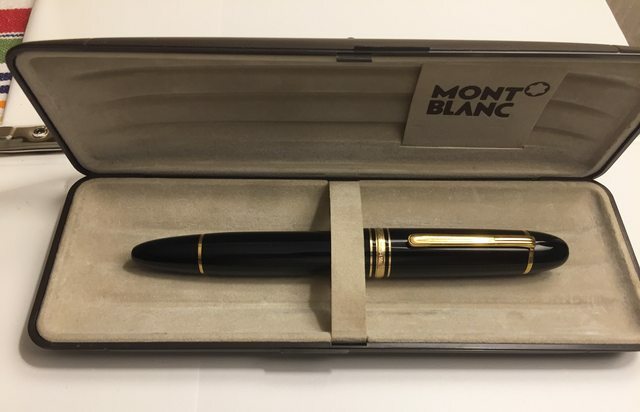 Comes with to the original Montblanc box. Please note I only ship within the U.S. Price is  $350 which includes careful packing, shipping and insurance. I accept payment by check, money order or Paypal.